As every year, we will take part to DOMOTEX as an exhibitor. We would be glad if you could take the time to meet with us there! Note that the exhibition layout is the same as last year, so is the location of our booth. You will meet us in hall 5, stand F44 (next to the passage to hall 6). 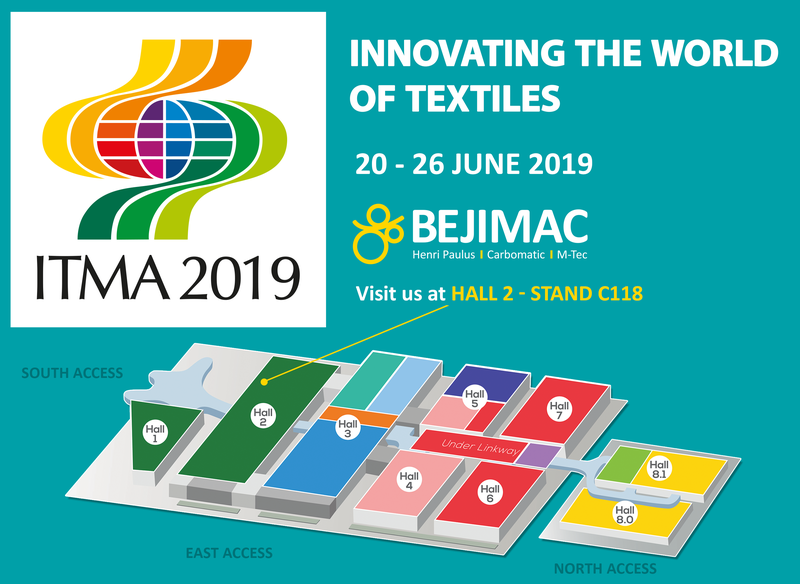 As last year, BEJIMAC will also attend the DTG trade show from 9 to 12 January 2019 in Dhaka. 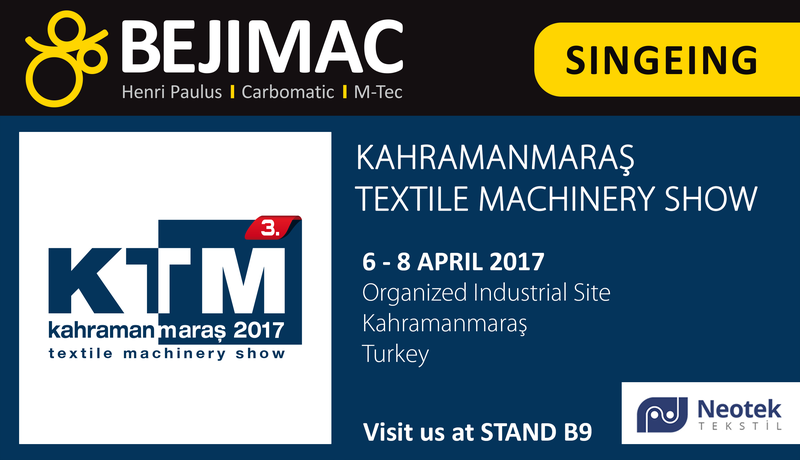 You can find us on the booth (hall 8 – stand 507) of our agent in Bangladesh for the singeing machines: BTE. 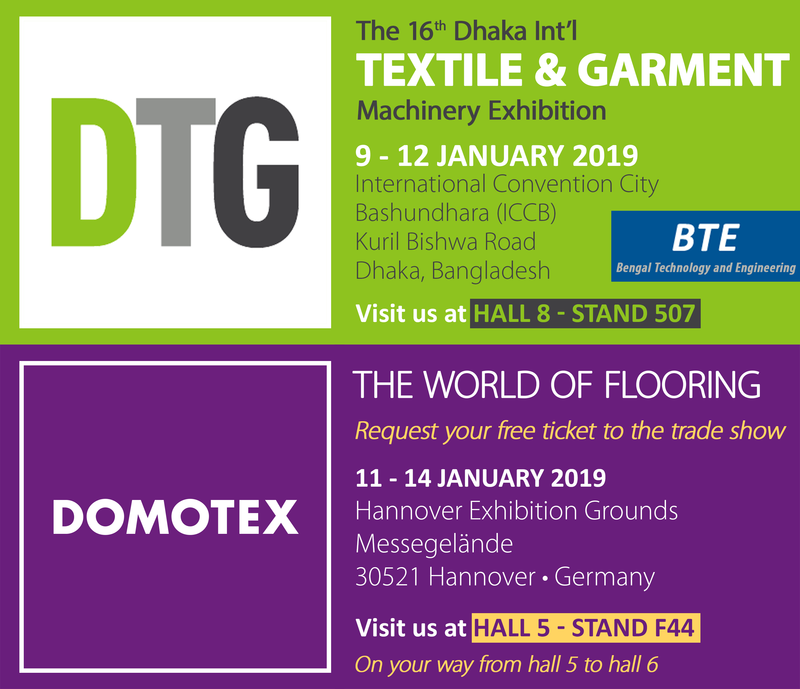 DTG is the largest textile and garment exhibition in Bangladesh and displays total solutions for textile & garment supply chain. The trade show location has changed for this year. Should you wish to fix an appointment, please feel free to contact us.